There is just something about fall. I am ready for boots and sweaters and a whole lot of coziness. I crave maple syrup and hot apple cider and soup of all kinds. And pumpkin. Oh, how I crave pumpkin! 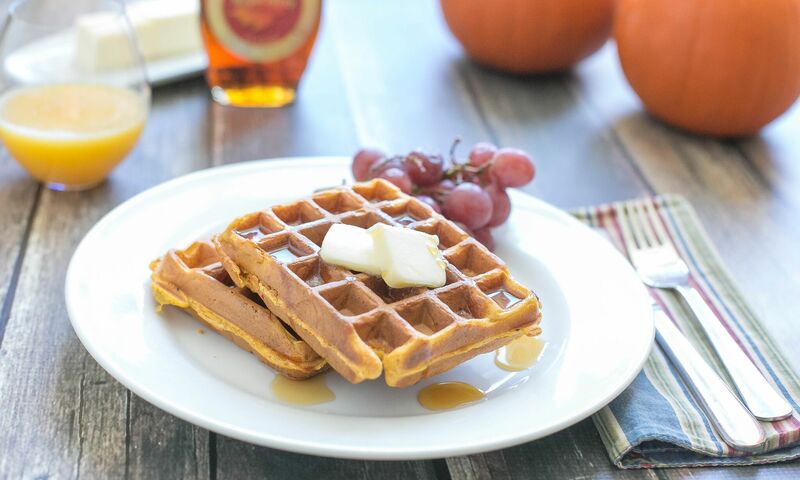 And nothing says fall like pumpkin waffles! 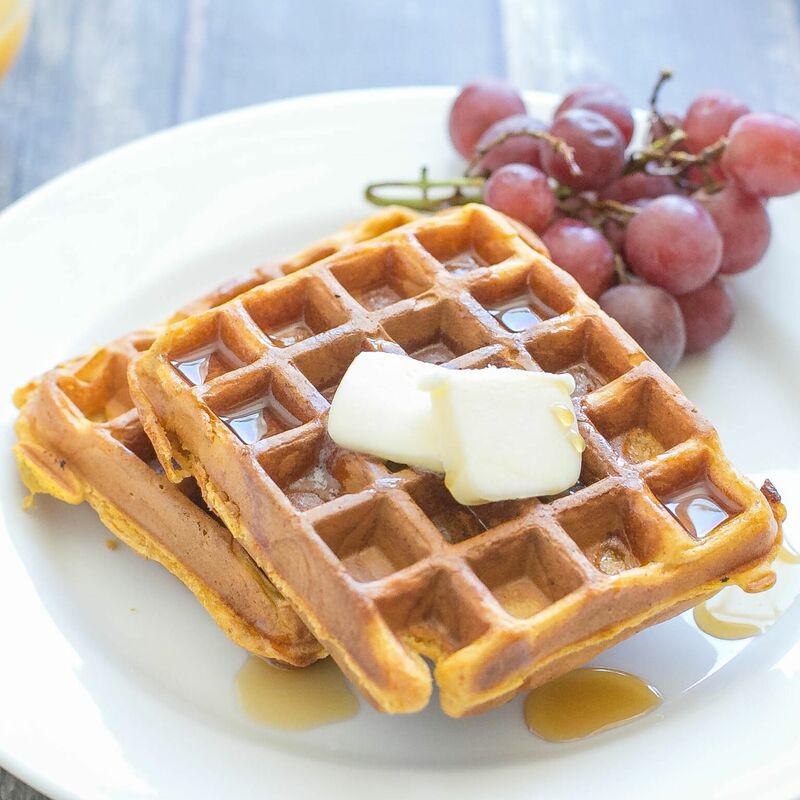 They sort-of scream for relaxed and cozy weekends, but you can also freeze your cooked waffles to make for easier mornings. 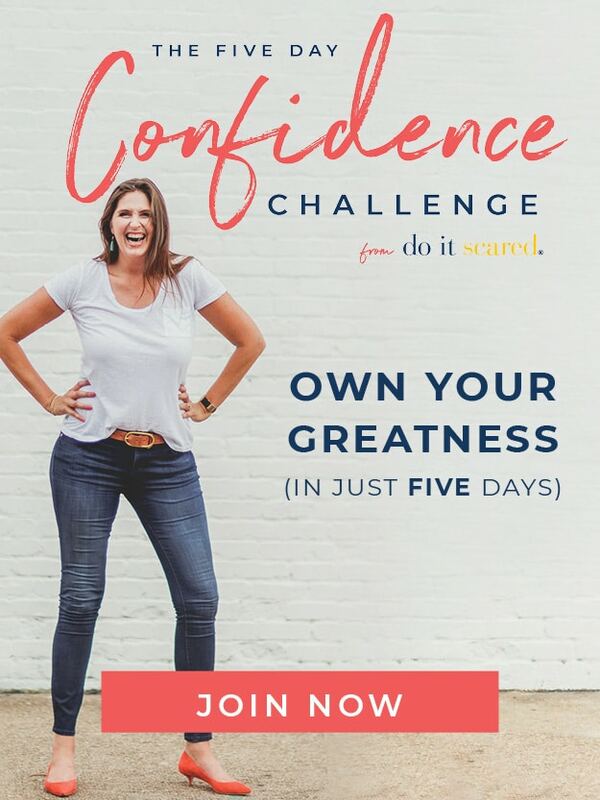 Why not double the recipe and achieve both all at once? 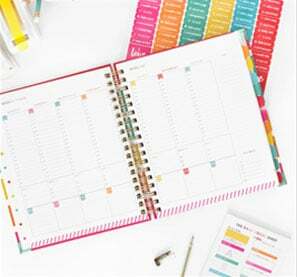 GET ME MY PREP PLAN! 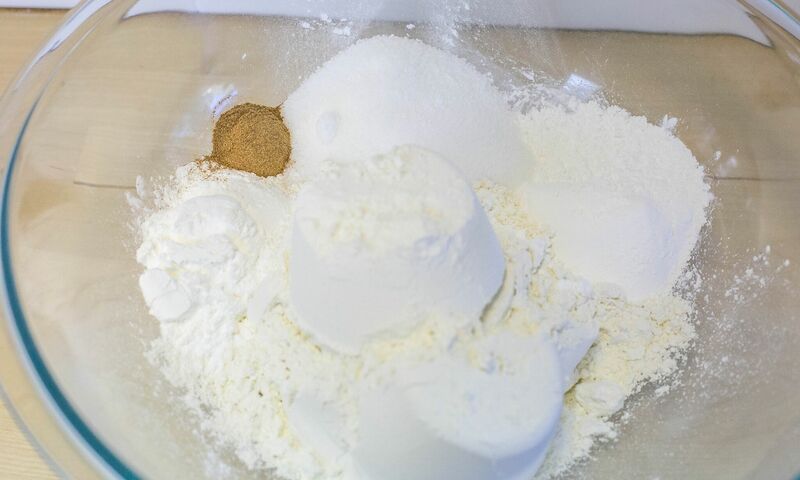 Step 1: In a large bowl mix together flour, cornstarch, sugar, pumpkin pie spice and baking powder. 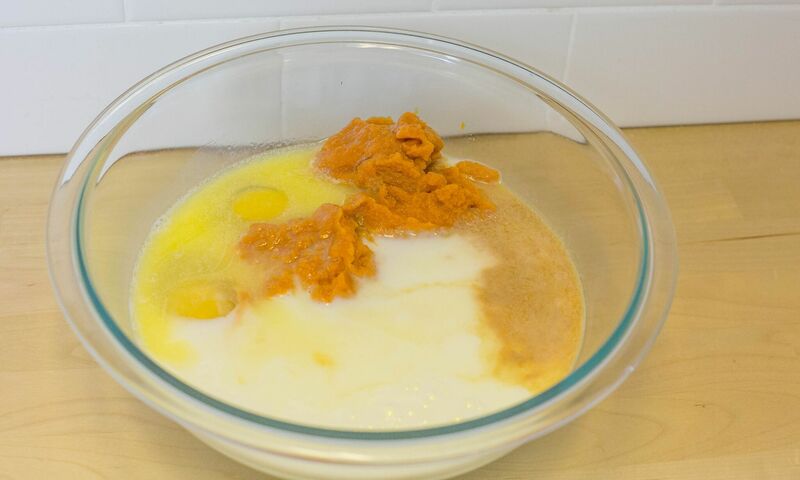 Step 2: In a separate bowl, beat eggs, melted butter, milk, vanilla extract and pumpkin puree until well blended. Step 3: Add liquid mixture to dry ingredients, stirring lightly with wire whisk until batter is combined. 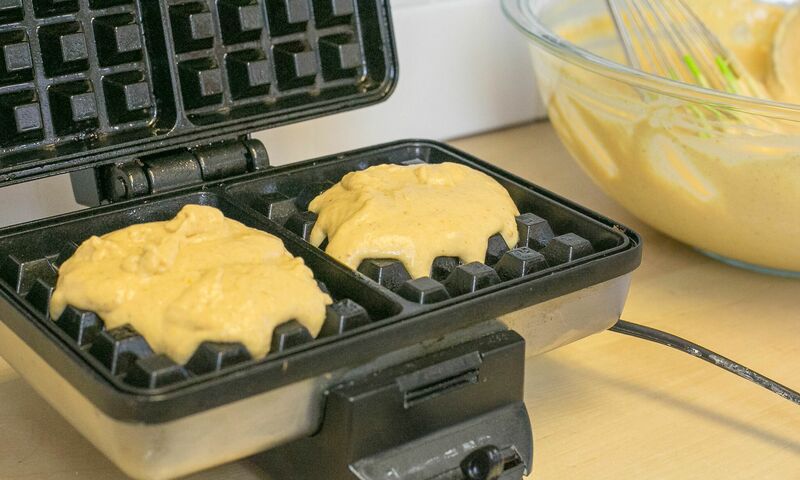 Step 4: Pre-heat your waffle iron, spray with non-stick cooking spray and then add one ladle full of batter and cook till lightly brown and crisp. Step 5: If you would like to freeze- cool waffles and then place in labeled freezer bag. You can reheat in your toaster oven or conventional oven at 350 for 3-4 minutes. 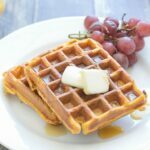 These super tasty and simple waffles can be made ahead of time and frozen for an easy week day breakfast. 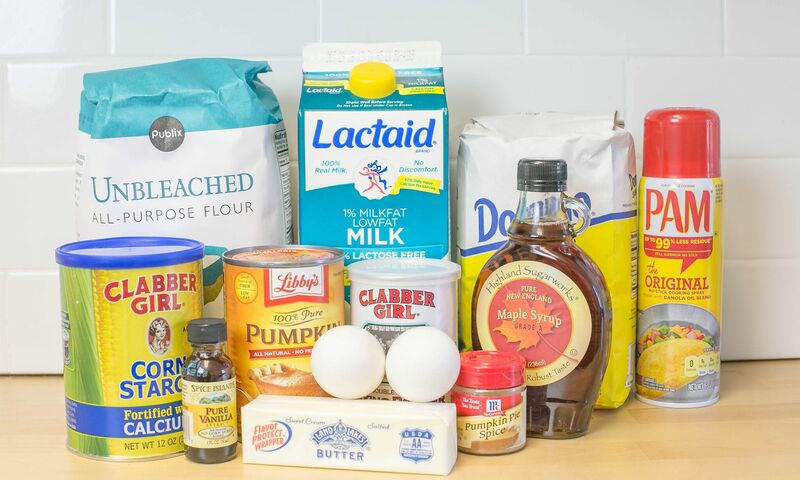 In a large bowl mix together flour, cornstarch,sugar, pumpkin pie spice and baking powder. In a separate bowl, beat eggs, melted butter, milk, vanilla extract and pumpkin puree until well blended. 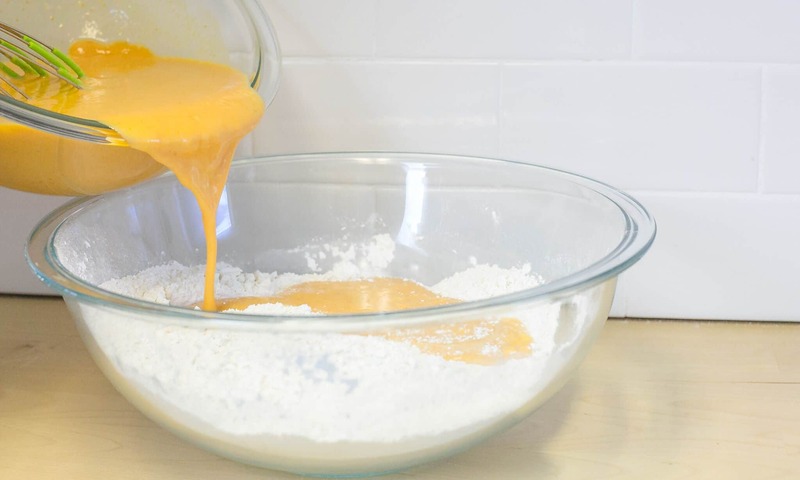 Add liquid mixture to dry ingredients, stirring lightly with wire whisk until batter is combined. Pre-heat your waffle iron, spray with non-stick cooking spray and then add one ladle full of batter and cook till lightly brown and crisp. 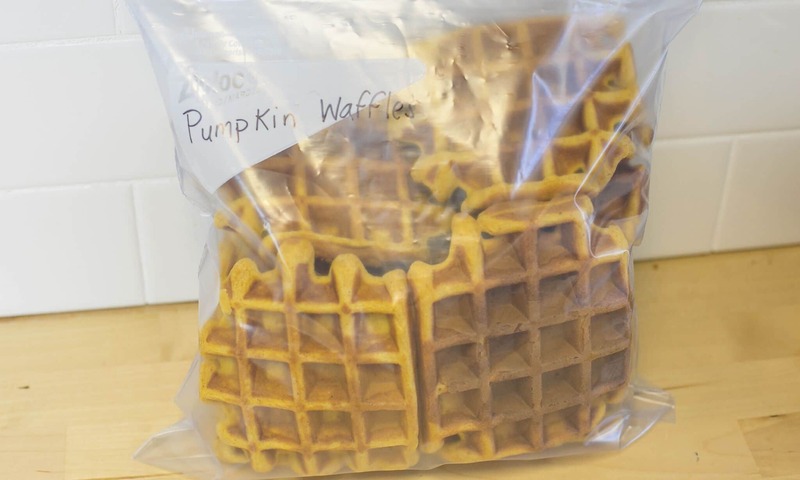 If you would like to freeze- cool waffles and then place in labeled freezer bag. You can reheat in your toaster oven or conventional oven at 350 for 3-4 minutes. Cooking time may vary based on your waffle iron and serving size may vary based on size of waffles. Well, these sound wonderful. Thanks for sharing the recipe! I just made these–delicious! I have to say, I was skeptical of how they would turn out with cornstarch and such a huge amount of baking powder, but they are very tasty! The consistency is great, especially considering that mixing the batter is so simple (as opposed to some waffle recipes that call for whooping egg whites, etc.) Perfect with butter and a little syrup. I did increase the pumpkin pie spice to about 1.5 tsp, and might go up to 2 tsp next time. The pumpkin flavor is fairly mild… but pumpkin is tricky to adjust since it’s so oily, so I don’t know whether it would work to increase that or not. I will definitely be making these often this fall! 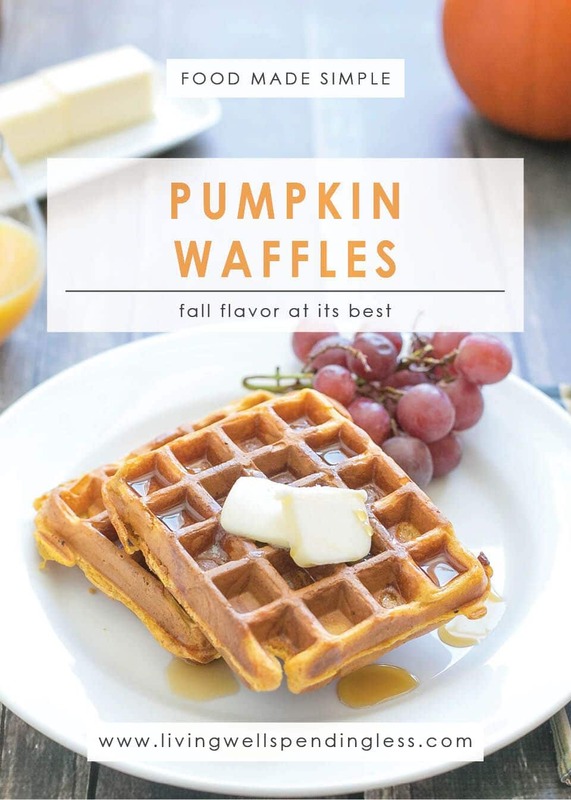 Can this recipe be used to make pumpkin pancakes instead of waffles? Looks delicious!